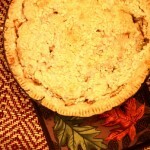 Prepare pie crust as seen here in an earlier blog post. 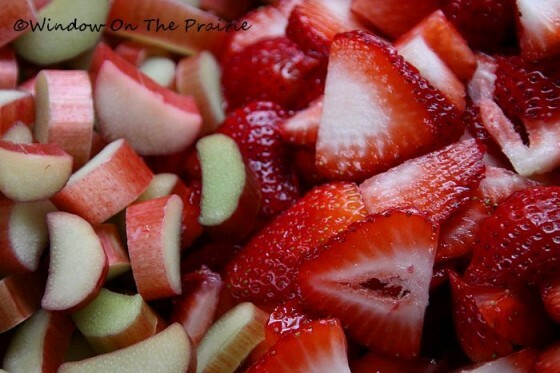 Place strawberries and rhubarb into a medium mixing bowl. 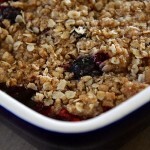 Add flour and sugar and mix until all fruit pieces are coated. Place bottom piecrust into pie pan, and then pour filling into pan. 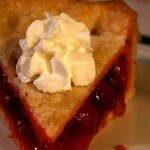 Put top crust over filling, seal and flute edges. (Refer back to this earlier blog post for detailed directions) Cut slits into top crust and sprinkle with a little sugar. Place in preheated oven. You may want to put a sheet of aluminum foil on the shelf below the pie just in case the pie juice boils over. Bake 40 to 50 minutes or until crust is golden brown. After 30 minutes of baking, place a ring of foil over the pie crust edge to prevent overbrowning. When done, remove from oven and allow to cool on a rack. It’s a plant with big leaves on long red stems about the size of celery stalks. The part that is eaten is the leaf stem. I have never eaten rhubarb although I remember my grandparents eating it and loving it. I always thought it looked slimy. I have never tried it this way, though, so maybe I will give it a shot. Stacy Lyn, be sure you eat the stems and not the leaves. The leaves are poisonous. My parents used to boil it and it was all stringy and slimy that way, although it tasted good. In a pie though it is like any other fruit (not slimy or stringy). I can’t imagine living without tasting rhubarb you guys. It is so yummy I love it love it. Suzanne’s pie looks sooo good my mouth is running lol.. But, I like a “just rhubarb” pie best. So so good. 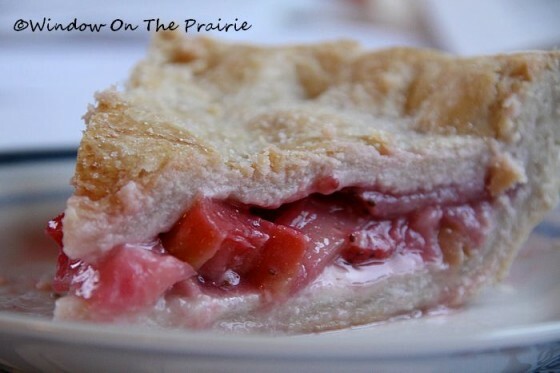 Suzanne, your post reminds us why rhubarb is called the “pie plant”. that looks sooooo good and if I weren’t at work, I think I’d make a pie right about now! Oh, that looks so good. I’m not sure if they grow rhubarb down here, but, if they do, it’s probably in the late fall or winter. I’ll have to check it out and try it. My Mom made rhubarb sauce to pour over ice cream. It was great. Pie is still the best. I cannot believe those of you who don’t know what it is!! It is good but you have to put a ton of sugar in it because it is very bitter. I agree Tina, Rhubarb is usually very bitter, but if you get it in the early spring, it’s much sweeter and doesn’t take as much sugar. My mom made sauce too, very tasty. When we were kids running wild in the country in Maine (or at least it felt like running wild to us! ), there was an abandoned farmhouse down the road that had the best rhubarb growing all around the old dairy barn (rhubarb requires a lot of nutrients to grow and cow manure is the best of all!). We would steal my mothers sugar bowl, pull the rhubarb and sit on an old stone wall dipping the rhubarb in the sugar and eating it raw. Raw rhubarb is sour so we had the sweet and sour thing going without realizing it! This post brought back a picture in my minds eye of five barefoot kids sitting on an old stone wall and loving life! Thanks! Oh my gosh my mouth is watering.. I havent had this for ages.. my aunt had a rhubarb patch that was huge.. every year she supplied anyone who wanted rhubarb.. In return we would give her fruits, veggies, casseroles.. lots of different stuff..ahe didnt have much money but she sure had a lot of wisdom and great advice.. Thanks for sharing your memory of your Aunt Beth. Sounds like she knew what was important in life. 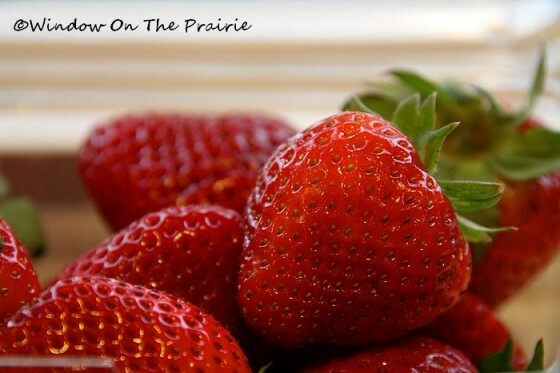 Strawberries are the perfect partner for Rhubarb…they make a great combination! Suzanne, you do know how to make a good-looking pie! There’s nothing like good ole rhubarb. 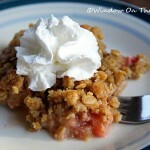 I have a delicious recipe for Rhubarb Crunch; very yummy and less work than a pie. I’ve made it many, many times. And I loved the quote in the front of that recipe book — there’s nothing like the mentality of the 50’s, LOL. Oh Suzanne! I want a piece of that! YUM!! 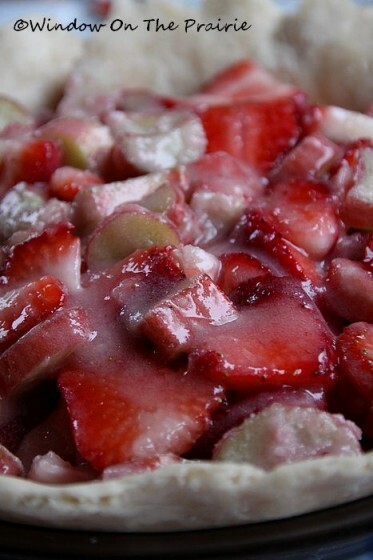 I can’t wait til rhubarb comes into season here in PA…not til end of May beginning of June. I can’t wait to buy some at the farmer’s market! I plan on buying a lot this year and I will freeze what I don’t use. My mom froze it when I was a kid. We had a few plants. I hear you’re getting snow today? What’s up with that? HELLO FROM NORTH CAROLINA! 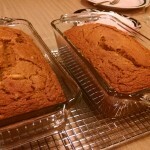 YOUR RECIPE WAS THE ONE THAT I PICKED TO BAKE IN A FEW DAYS. RHUBARB IS SOMETHING THAT WE DO NOT SEE MUCH SO THIS WILL BE A TREAT THAT WE WILL CERTAINLY ENJOY. THANK YOU!